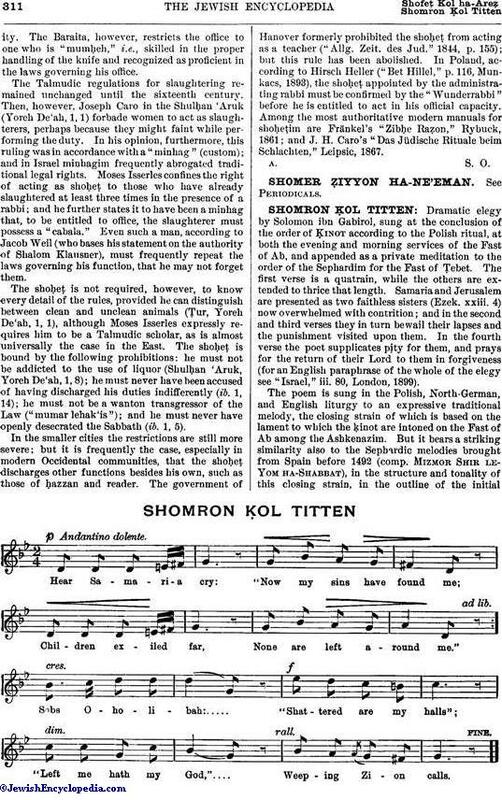 Dramatic elegy by Solomon ibn Gabirol, sung at the conclusion of the order of Ḳinot according to the Polish ritual, at both the evening and morning services of the Fast of Ab, and appended as a private meditation to the order of the Sephardim for the Fast of Ṭebet. The first verse is a quatrain, while the others are extended to thrice that length. 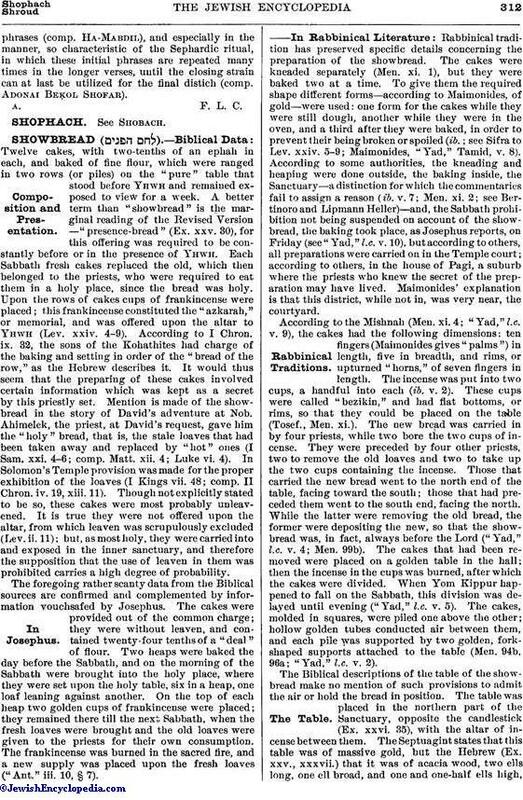 Samaria and Jerusalem are presented as two faithless sisters (Ezek. xxiii. 4) now overwhelmed with contrition; and in the second and third verses they in turn bewail their lapses and the punishment visited upon them. In the fourth verse the poet supplicates pity for them, and prays for the return of their Lord to them in forgiveness (for an English paraphrase of the whole of the elegy see "Israel," iii. 80, London, 1899). 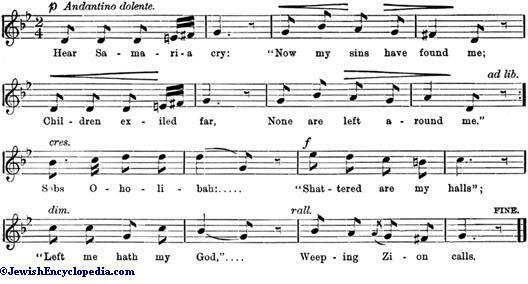 The poem is sung in the Polish, North-German, and English liturgy to an expressive traditional melody, the closing strain of which is based on the lament to which the ḳinot are intoned on the Fast of Ab among the Ashkenazim. But it bears a striking similarity also to the Sephardic melodies brought from Spain before 1492 (comp. Mizmor Shir le-Yom ha-Shabbat), in the structure and tonality of this closing strain, in the outline of the initialphrases (comp. Ha-Mabdil), and especially in the manner, so characteristic of the Sephardic ritual, in which these initial phrases are repeated many times in the longer verses, until the closing strain can at last be utilized for the final distich (comp. Adonai Beḳol Shofar).